Croatian civil society organisations are inviting you to take part in the public online consultation about the priorities of the next EU presidency trio made up of Romania, Finland and Croatia, which will steer the Council of the EU from January 2019 until June 2020. This public consultation has been launched by Croatian civil society organisations GONG and CROSOL – Croatian Platform for International Citizen Solidarity in cooperation with SOLIDARNA Foundation and is open until October 5, 2018. 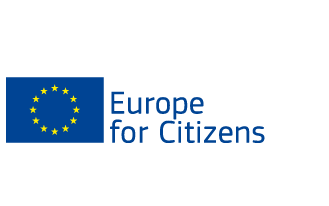 The purpose of this online public consultation is to detect the problems and solutions that European active citizens consider critical for the democratic and sustainable development of the EU and protection of the European values over the upcoming two years of the new EU presidency. Public consultation results will serve as a basis for agreement on common advocacy and awareness raising agenda of the Croatian, Romanian and Finnish civil society organizations, in collaboration with their counterparts throughout EU and the enlargement countries in the Western Balkans, as well as with EU policy experts and social partners. The results will be publicly presented on October 9, 2018 in Zagreb, at the international conference “The Role of EU Presidency in protecting the European values”. You can take part in the public consultation HERE, through the online consultations civil society platform SAVJETODAVNA, where you can comment thematic policy briefs related to the following EU’s hot issues: Post-Brexit EU, EU’s Budget 2021-27 (Multiannual Financial Framework), European Elections 2019 and Beyond, Protecting EU Values, EU’s Democratic Governance, European Energy Security and Sustainability, Digital Single Market and EU Enlargement to the Western Balkans. While there is no separate thematic brief on migration management, the EU Value Protection policy brief partially covers the issue. All contributions are most welcome! We also invite you to take part in the online survey „EU Presidency priorities“ HERE, where you can quickly rate and rank the importance of different issues from the perspective of active citizens, committed to protecting European values and people’s and the planet’s well-being. You can take the survey separately or as part of commenting on specific topics through the public consultation platform (embedded next to each thematic policy brief). The survey is open from September 25 until October 5, 2018. We hope you will help us make EU a better place for all of us who strive to live in honesty and solidarity across the European continent. For any further technical questions, please contact Ivan Blazevic, Public Consultation Administrator, ivan.blazevic[@]solidarna.hr . For questions about the October 9 Zagreb conference and opportunities for collaboration around the prospective EU presidency, please contact Branka Juran, CROSOL, branka.juran[@]crosol.hr . Thank you for your interest, participation and ideas!